I think we had this art desk a few years back. I cashed in some frequent flyer miles for it and a portable DVD player. It is a fun little art desk, though you do have to stock it yourself. The giveaway here is for just the art desk. US residents have through 10/29 to enter to win. Make a kid really happy. Do you have a little artist at home? Children love to create & your little one will enjoy coloring, painting, writing & more on the Step2 Deluxe Art Master Desk! Jessica at IHeart-Motherhood recently had the privilege of reviewing the Step2 Deluxe Art Master Desk for her daughter, you can read her full review as well as view more photos here! Buy it: The Deluxe Art Master Desk can be purchased directly from Step2 online, it's currently on sale for $89.99! 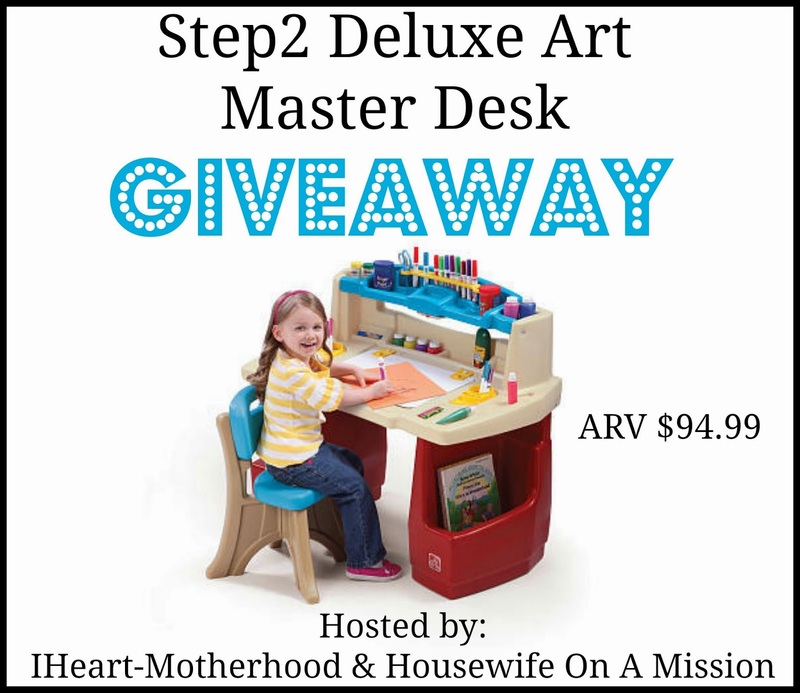 Win it: One lucky reader will win the Deluxe Art Master Desk from Step2! My son would love the Extreme Coaster! It looks like so much fun! The best chef's kitchen is cute. I like the LifeStyle Deluxe Kitchen, My son & daughter would love it. I would also like to have the Racing Room Combo. Ok the Extreme Coaster is totally awesome!!! I like the Fun Time Room Organizer. My kids really like the best chef's kitchen. The Grand Walk-in Kitchen & Grill looks like a lot of fun for the creative chefs in our family. I love their neutral Create & Play kitchen - looks like something my boys would have a blast with! The Extreme Coaster looks very cool! My nephews would love it!